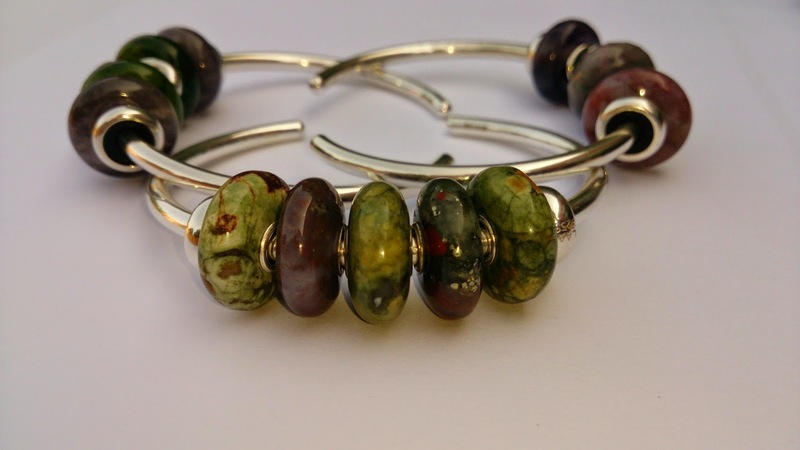 I've been having a love affair with bangles ever since I plucked up the courage to try the Trollbeads bangle. I've never really worn bangles much before this, the odd cuff that could be bent to my super small wrists, or perhaps the 80's fashion of multiple stacked metal bangles but generally bangles don't suit me. Then there was an oval shaped one that did, and the rest is history. Very quickly I acquired 3 silver ones, who doesn't like to stack? Then came the copper version... Then the twisted silver and copper versions, add to this copper and dark oxidised stoppers followed by decorative stoppers and I barely wear anything else. So what is the 7th bangle? Do you stack your jewellery? Is it piled high, or artfully aranged in it's simplicity? I really like your collection of bangles. <3 What could the 7th be?!? Perhaps a Ohm-Bangle? But they are too round, aren´t they? Ah once you've got one, there's no stopping... Over the last year I've been mostly wearing them with mixed metals and a few key glass pieces, I can't get enough of the look. Fingers crossed no.7 will arrive on Monday! I don't do well at stacking more than two, but I do love my bangles! I only have four, so I'm impressed that you have six (almost seven!) 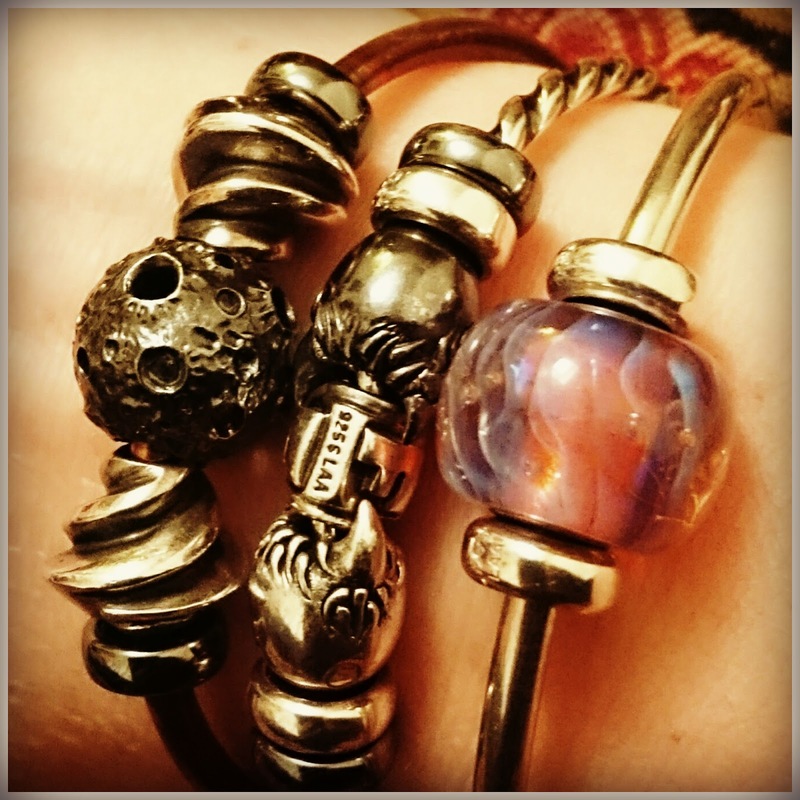 :D Although I would love one of the Ohm twisted bangles at some point. I only used to do two, until I switched to mostly wearing metal on them, then I find 3 works rather well! The most I've worn is 5, 3 on my right wrist and 2 on my left... but again mostly metal with only 1 or 2 with a glass focal on.